Lee Morris admits it is remarkable how well Worsbrough Bridge have started the season considering where the club was 12 months ago. Morris, appointed last October, has overseen an incredible opening eight games which have seen Bridge win six of them and occupy third in the table – form not since at Park Road since Chris Hilton ruled the roost. 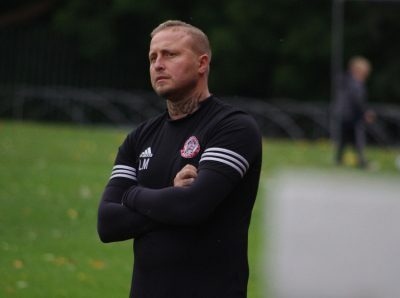 Worsbrough literally crawled to safety last season after winning just seven games all season and Morris has previously said that he considered resigning. He’s certainly glad he didn’t as Bridge have already won six and are only five wins short of last season’s points tally of 33. Results have caught the imagination of local people as attendances have shot up and Morris says the transformation is amazing. “I made a joke the other day that when I came here for my first game that there were 13 people and a couple of dogs watching,” Morris told Non League Yorkshire. “Last Sunday (against Squires Gates in the FA Vase) there were over 100 so people are getting behind us and they are realising what we’re doing. “I hope they keep coming down because without them the club won’t survive. “I was also talking to my stepdad only last night (Friday) and I was saying that we played Campion in only my second or third game and we got battered 6-0. “I just thought ‘wow what have I done’ (taking the job on). But then you see it on Sunday with over 100 people in the ground. It shows just how far we have come in a short period of time. “We got beat 3-0 by Nostell (on Saturday) and when I took over it might have been six, seven or eight. We are moving in the right direction, but things aren’t going to happen overnight. “It will be over the next couple of years when you see us progress on-the-pitch and off-the-pitch. Even if we finish in mid-table it would be a success, especially for the likes of (vice-chairman and secretary) Mr (Mark Booth) and the people around the club who do everything. “Just to not be in a relegation battle would be a nice season for them. “Worsbrough is a scalp now and people aren’t thinking it is going to be an easy game when they come down to Worsbrough now. Long may it continue. 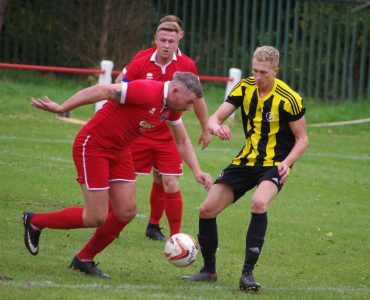 Despite their lofty position, Morris, whose legendary playing career took in spells with Frickley Athletic, Buxton and Harrogate Town, is keeping his and his team’s feet on the ground. “The lads aren’t getting above themselves and I won’t let them,” he said. “At the end of the day we have played eight games. If we’re where we are now after 30 games then it is a lot different. “The expectations are still not to go down. We need to get the points on the board to not go down. The next target would be to get in that top ten and try and get FA Cup football back down here. Worsbrough haven’t been in the FA Cup for years (since 2002). It would be great to get them back in it. Morris credits “team spirit” as one of the main keys to why Worsbrough have done so far. “We’ve done it by putting in a lot of hard work in during pre-season about how we were going to play,” he said. “We also made sure the personnel that we brought in fitted into the dressing room. There’s been pure hard work from the lads. There’s not one stand-out player that thinks he’s better than everyone else. His side did take a backwards step on Saturday when they were well-beaten by Nostell Miners Welfare. Nostell ran out 3-0 winners and even Morris conceded that the score-line could have been higher. “It was probably the most frustrating game of the season for us, but I take my hat off to Nostell,” he said. “I thought they were the better team throughout in every single department. I’m disappointed because we didn’t show up and it gives me plenty to think about ahead of Wednesday (away game at Armthorpe). “We didn’t create anything and Nostell deserved the points and probably should have scored more. That’s the second game on the trot where we haven’t created anything and I’ll be looking to resolve that by bringing some players in. “It was difficult for us (against Nostell) because we weren’t just without the goalkeeper (Aiden Tyas), but we lost Billy Rhodes so Jack Wilson had to go to the back. Obviously we’ve also lost Joe Dungworth to injury. “The spine of the team was gone which made it difficult. I’m not going to change the way we play just because the goalkeeper is different. He played at Harworth for us and did really well. Worsbrough are away at Armthorpe Welfare on Wednesday night.